This entry was posted in Recipes and tagged casserole, cooking, family recipes, green bean casserole. Bookmark the permalink. I have two. The first one is not really a meal so much as it is a side. It’s a potato caserole, which is pretty common, but this is the recipe my mom has always used. We call them Lake Potatoes because she always brought them to the lake home of some friends of theirs in Minnesota. Now I bring them to my in-laws’ lake home. They are a crowd pleaser, but this recipe it is not for the health nut. No judging. Thaw hash browns and mix all ingredients together. Top with 2 cups crushed corn flakes mixed with ¼ cup margarine, melted. Bake at 350 degrees for 45 minutes in a 9 x 13 pan – or 60 minutes if refrigerated. Freezes well. Thanks for sharing, Noreen. Happy cooking. 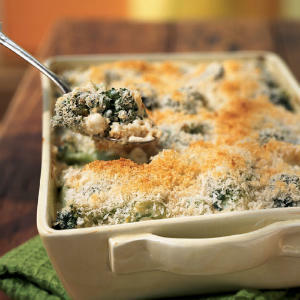 Okay – as promised, here is the other favorite casserole recipe. This is from my Grandma. I told my mom about your blog. She is excited. She immediately emailed me the recipe. She says, “I hope she likes it – it’s always a hit and I think, for a casserole, looks quite sophisticated.” (Though it does contain Velveta!) Best thing about it? This one is called a ‘hot dish’ – who doesn’t love that? Top with chow mein noodles or make it the night before and add noodles before baking. Bake 1 hour at 350 if it has not been refrigerated – longer if it has. I usually bake a while and add noodles later on so they don’t brown. Okay good luck – I hope you find the perfect recipe. Thanks for the recipes Alison! The asparagus one will definitely get a try!